Wisconsin Leadership Seminar (WILS) Anna Ganje 2019 WILS winner. To identify outstanding high school sophomores throughout Wisconsin for being responsible citizens in their community and/or school and provide them with the opportunity and encouragement to recognize their leadership potential. We fulfill this mission through an annual 3-day leadership seminar that is provided at no cost to the students or schools. WILS encourages leadership development through emphasis on our four pillars: Responsibility, Service, Inclusiveness & Decision Making. Dondi and Amy attend Wisconsin Indianhead Technical College. Each received a $1000 raised by the annual Art and Craft Fair. 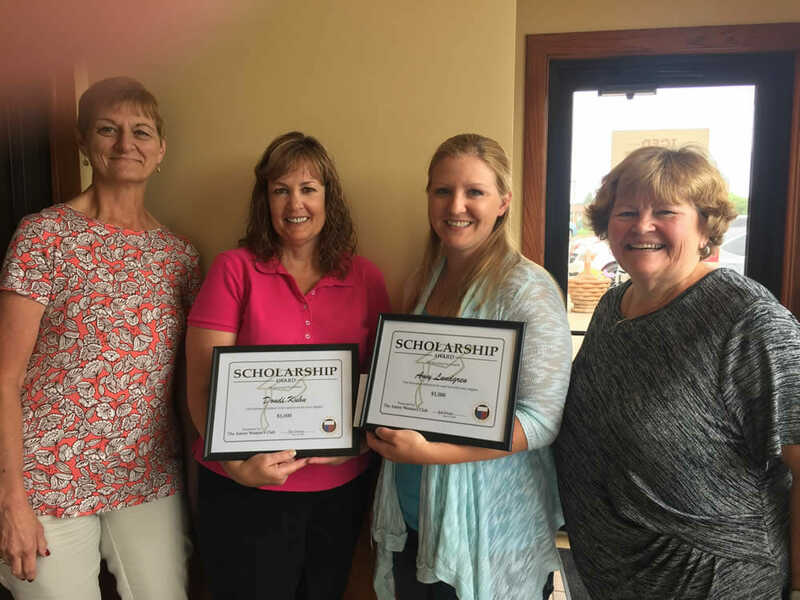 The Amery Woman’s Club is offering two $1,000 scholarships to a non-traditional female student for the 2019-20 school year. A non-traditional student is one who is beginning, or returning, to a program of higher education, but not immediately following her high school graduation. The scholarships are awarded based on financial need, as well as clearly defined goals, and an essay or letter describing how the woman’s education will improve her life and her community. It can be used for tuition, books, child care or transportation. Written reflection on what you learned from your volunteer experience(s) and who benefited. Completed application forms along with letters of recommendation and your written reflection are due April 12, 2019 to Mrs. Karen Ganje. Applications can be picked up from the guidance counselor’s office at AHS. The Amery Woman's Club is dedicated to community improvement by enhancing the lives of others through volunteer service. Members work to support the arts, preserve natural resources, advance education, promote healthy lifestyles, encourage civic responsibility and work toward peace and understanding.